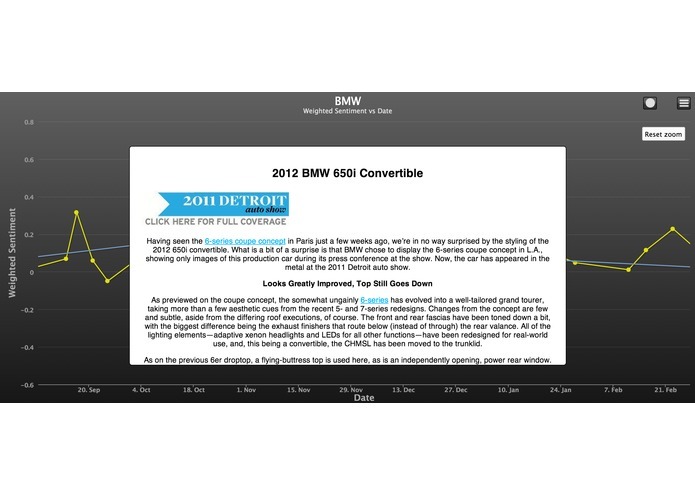 Sentimental uses AlchemyAPI to apply NLP to Car and Driver articles to extract the makes and models and associated sentiment of each. 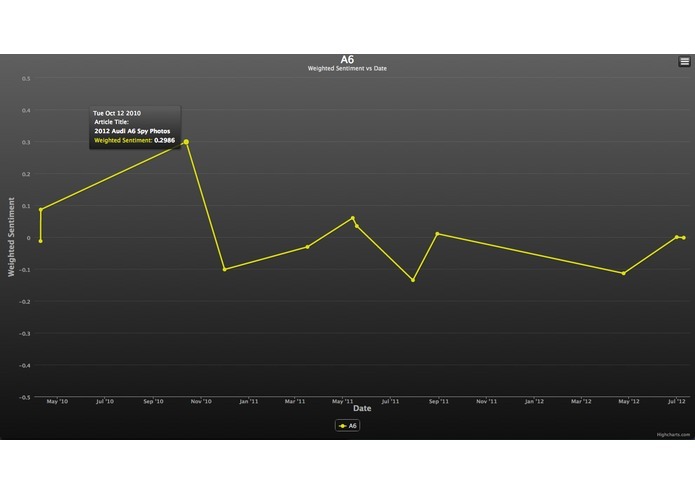 We show a visualization of the changes in sentiments over time, and allow users to view the article directly from the corresponding data point on the graph. 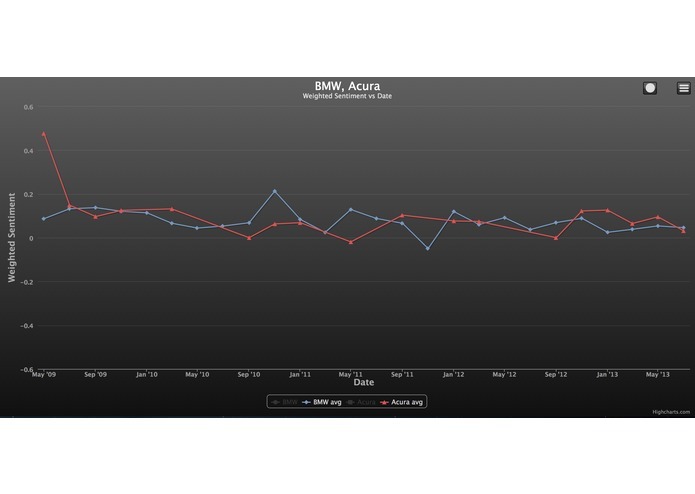 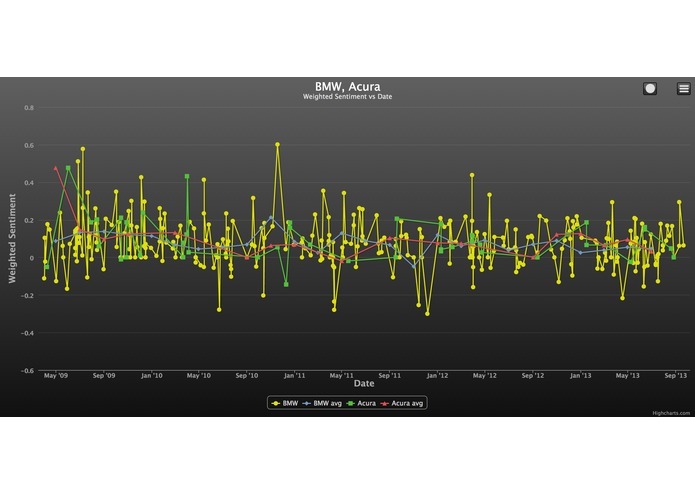 We also show a monthly average for each car make, and support comparison between multiple makes and models at the same time.